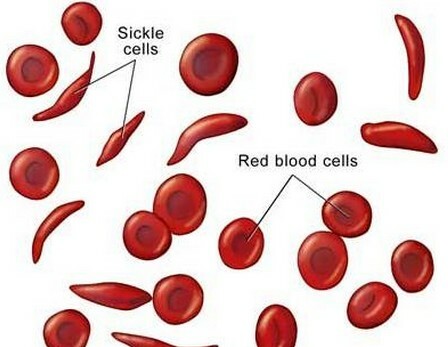 Symptoms of sickle cell syndrome include an acute pain in the body. If you feel a sudden pain in your body which can be mild or very high, immediately consult any doctor. If you feel you are suffering from any anemia like heavy breaths, coldness of hands and feet, then also consult your doctor. Tell him the symptoms you have observed. If you have a born baby, the test can be done on you. As this is a genetic disorder so test the blood samples of the parents. If parents are the carriers of this disease then the newly born baby will also suffer with this disease. In infants, these symptoms come at the age of six months. Adults can also test their blood for sickle cell syndrome. But if they have undergone blood transfusion, they should consult a doctor. Usually such people should not test for sickle cell disease immediately as the symptoms will not arise for the new blood so quickly. They will have to wait for some time. Test for this disease is called High Performance Liquid Chromatography. A sample of blood has to be taken from patient in order to perform this test. The patients arm is tied by some cloth and he is asked to show his arm’s nerves by making a fist. The nurse will take the sample of the blood by the syringe and perform the HPLC test on it. If the results are negative, this means that there is the existence of hemoglobin ‘S’ instead of ‘A’. Some patients have all the hemoglobin ‘S’ with an impurity of hemoglobin ‘F’. If the patient is an infant, this test is again performed after a few months to prove the results. If the patient is an adult, then genetic tests can also be performed in order to prove the results. If this disease exists in your family, do consult your doctor and perform these tests. You should take this infection seriously as they can bring a lot of difficulties and problems for you in your life.